This is the first Black Friday in almost 2 decades, that I did not get up at 4:00 & go running with the crazies. Here's why. 1. It has been a tradition for years to have my sister-in-law as my partner-in-crime. Back in the day, we'd get up & go hunting with our game faces on - and we'd come home around noon. Dead to the world, but with loads of presents & even more stories. But she didn't come here this year. 2. If you go out in the wee hours of the morning - you MUST take a said partner-in-crime. And my husband is a good substitute - but not a happy one. 3. You better have your game on when you go. AKA - you better have your strategy. And without a partner, you are a lamb going into a pack of wolves. 4. The major retailers through us a curve ball this year. Many changed their opening hours from 5:00 am or 6:00 am to MIDNIGHT. This just sucked for me. No more getting up at 4, driving to Kohls for the 5 opening. Grab & go & then sit at Starbucks waiting for Target's 6:00 opening. Grab & go & then sit at the mall for the 7:00 openings. Grab Mom's nightgown at Dillards & then get in line for a freebies at the mall (free hot chocolate, etc.). Breakfast then drive to the outlet mall for deals before the early bird specials that end at 1:00. 5. To have a strategy at all of the above stores in #4, you need a LIST. And I have NO LIST. 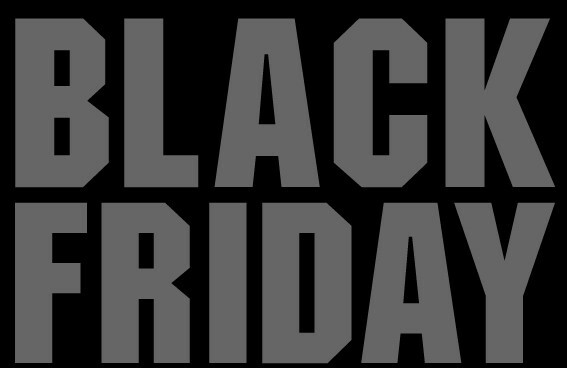 Seriously - if you are a family member & you are reading this - it is in your best interest to give me a list BEFORE Black Friday. 6. I don't have to buy Barbies & Spiderman anymore. This basically means I don't have to hit the Kohls or Target to grab & go the Barbie campers at 50% off. And what it really means is that my nieces & nephews are getting older & prefer gift cards. And those that still like Barbie & Spiderman don't give me a list. 7. We're not buying for every family member anymore. Our gift purchases have dwindled down to buying only for our parents & our nephews & nieces. Brothers & their wives get fruit, candy or chex-mix or a combo of them. And our parents don't want the door busters of Black Friday. 8. It helps to have $ for Black Friday. I used to get my Christmas Club money out of the Credit Union & take that shopping. Never used credit cards for Christmas - ever. But I'm waiting for payments from July from my freelance - so I'm not exactly loaded. Guess #'s 1-7 are a good thing.